Tang Dynasty circa 700 AD. 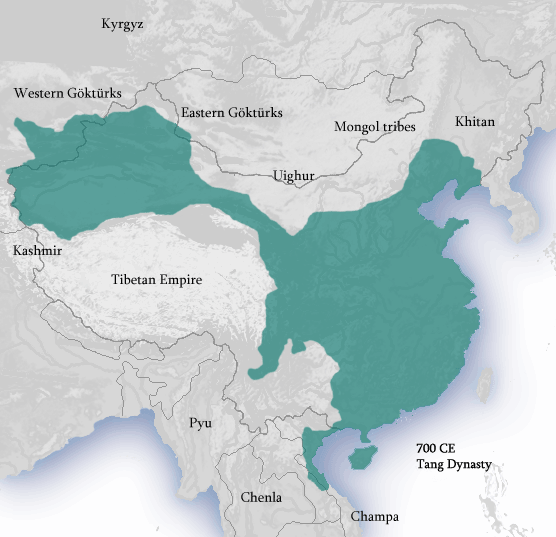 Derived from Territories_of_Dynasties_in_China.gif. Quejn Tang Dynasty 700 AD from "The T'ang Dynasty, 618-906 A.D.-Boundaries of 700 A.D." Albert Herrmann (1935). History and Commercial Atlas of China. Harvard University Press.